For Directors, CEOs and All Leaders, What Is Your Simple, One-Page Plan? 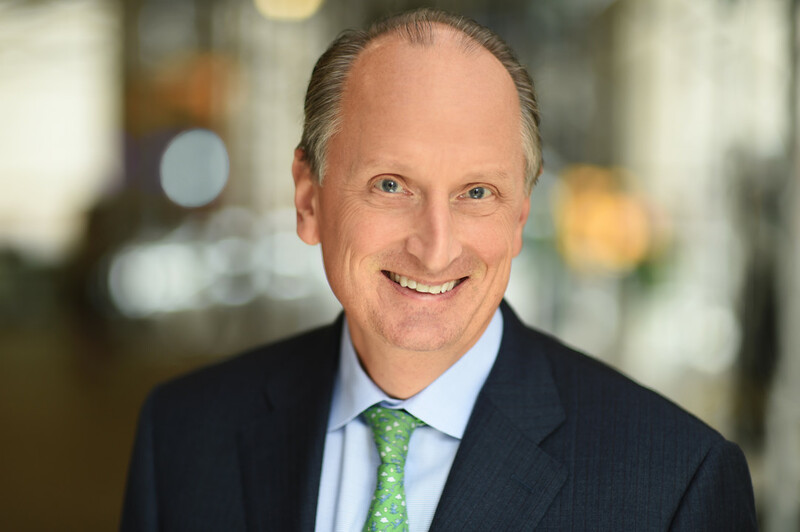 For the next installment of our interview series, “The New Director’s Chair,” my colleague David Reimer, the CEO of of Merryck & Co. Americas, and I sat down with Greg Brenneman, executive chairman of CCMP Capital. Greg, whose deep resume includes many CEO roles before he moved into private equity, has a rare and remarkable talent for distilling ideas down to their essence. He shared with us his insights from years of experience of working with both private and public boards, including Baker Hughes and The Home Depot, where he is the lead director. Stay tuned for more interviews with other leading directors. Reimer: You’ve served on both public and private boards. What is your framework for the role of the board in both worlds? Brenneman: There are probably three functions that every board has to do, public or private. One is to set long-term strategy. Management teams are constantly on this gerbil wheel of trying to deliver results in a fairly short timeframe – quarterly for public companies, and anywhere from quarterly to annually for private companies. What often happens during that process is that the tough decisions that require you to think five and ten years out can often get less attention – and this is no fault of management’s; it’s just the pressures they’re under. So the board’s first objective is, do we have the right long-term strategy? The second responsibility is compliance. What are the real risks, both reputation risks and financial risks, that are out there, and how are we addressing them or getting our arms around them? And do we feel like we have the right controls in place and the right process in place to deal with those? The final thing is, do we have the right management team? If we put our long-term strategy on a blank sheet of paper, do we have the team necessary to execute on that strategy? Reimer: What can private boards learn from public boards, and vice-versa? Brenneman: The public world is pretty buttoned up on issues like the Foreign Corrupt Practices Act or carbon footprints. Not that the private world hasn’t done this, but the public world, by force of nature and the bodies that regulate it, has had to focus on them. What we’re always striving to do on the private side is to bring companies up to that standard in terms of really understanding the risks of the business. We buy a lot of family businesses that are private businesses, and in general, those are run by entrepreneurs who are fantastic at growing the business, but there are some issues that are just not top of mind for them that should be as they grow into new countries or markets. What public boards can learn from private ones is how to be a bit more nimble and entrepreneurial. Sometimes in public companies, because of the pressures of quarterly earnings and the lack of an entrepreneur at the helm, there can be a kind of drift. What board members can bring to those public companies is understanding “the art of the possible” and also asking questions about how long-term industry disruptions are going to affect the company. Bryant: When I first interviewed you a decade ago for my “Corner Office” interview series in The New York Times, you talked about the importance of being able to distill business strategy into simple plans. How does that play out at the board level? Brenneman: It’s interesting what we do at Home Depot, where I’m the lead director. We used to have decks, and the decks would be a couple hundred pages for a big meeting. But we talked about how those long decks led to a bit more presentation and less discussion than you’d want to have at the board meeting. So what we do now – and credit goes to Craig Menear, the CEO of Home Depot – is to have every topic presented as an 11” x 14” placemat. There are pictures on it to help illustrate the points, as well, but it walks you through the logic of a particular issue, like what a certain kind of customer wants from us. We might cover six or seven topics in a board meeting, and there will be just six or seven placemats. There will also be a deck to read beforehand so everybody can understand the issue in depth, but the idea is to create a discussion, not a presentation around the issues. Bryant: What does a director do to, in effect, earn an A+ grade? And at the other end of the spectrum, what are some common rookie mistakes that you’ve seen? Brenneman: Really good directors make their mark by calmly helping management and the board navigate a crisis or transformational event. Everybody can panic when things go wrong or when lawsuits start flying around, as they always are in this world. So you have to stay calm and logically process the risks. You’re not the management team, but there are certain moments when you need to be thoughtful and visible in that role. At the other end of the spectrum, the only real rookie mistake I’ve seen is just assuming that every thought that comes to your head should come out of your mouth. I’ve always found that the best directors make a contribution from Day 1, but they pick the one or two issues where they feel they can really contribute. Reimer: As a board member, particularly as a lead director, how do you get visibility into the culture of the company? Brenneman: When I became lead director at Home Depot several years ago, I asked not to be on any board committees but to be a floater instead on every board committee. So I look at all the committee materials and I talk to Craig, the CEO, about the issues in the business. I talk to the committee chairs, and I figure out which committee meetings I’m going to attend at every board meeting. I always attend at least two and sometimes three of the four. There’s an ability to see patterns that you just don’t see if you’re isolated in one committee. I’m almost always in the audit committee meeting because you can usually figure out the culture through how you handle the little things. We have a great audit committee chair, Frank Brown, but that’s where things often surface first. Reimer: Can you expand on how you see your role as lead director? Brenneman: What you want to do as lead director is to try to bring out the best in each board member. You’re not there to dominate the board, but to facilitate the culture on the board — to make sure everybody’s heard and everybody’s opinion gets reflected. One reason I interview every director each year is to make sure that if somebody feels like that something hasn’t been said or needs to be addressed, then I can make sure we add that to the agenda. It’s really helpful to have somebody who takes the lead in those conversations and those communications. If the CEO had to call twelve people after every board meeting to get their comments, that’s a big task. This way, they always have their pulse on where the board is and what the board is thinking, and they have a point of contact to get the information they need. It’s just a very helpful conduit to have, in effect, one voice coming out of the board. Bryant: You mentor a lot of CEOs because of all the businesses you’re investing in. What are the themes that come up most often in your conversations? Brenneman: The number one theme is, what is your strategy? If you ask CEOs “what’s important?” a lot of them will give you 21 single-spaced pages of their priorities. And that’s not going to work. What is your one-page plan? And then, if they have that one-page plan, then you need to start with a blank sheet of paper and say, what kind of organization and skill set on your team do you need to execute that plan? On that score, the problem I generally see is that the CEO is hanging on to people too long or they don’t have the right people in the right chairs. People are very reluctant to change. The really good CEOs and management teams I’ve seen are not all that reluctant to morph themselves over time to do that. Even in really good companies, you’ll find you only have 75 percent of the right people. In really bad ones, it’s probably 25 percent. When you have to make those management changes, you have to treat people with dignity and respect and help them find a better path for their life. It’s really about always wanting the best for people. Herb Kelleher [co-founder and longtime CEO of Southwest Airlines] passed away recently. Herb was a fabulous guy, and he really embodied the ideas of keeping the strategy simple and having the right people around you. He just loved people. After he died, the employees of Southwest took out a full-page ad in USA Today, thanking him for everything he had done. That’s a great capstone to a career. If we could all be remembered for that at the end, I think we would have probably accomplished what we wanted to in business.